Here are some thoughts banging around in my head after watching the Sox lose two out of three and cede first place to the Orioles. Is anyone else getting a little worried? I’m starting to feel like the 2016 Red Sox are a beautiful mansion that is built on a rotting foundation infested with termites. While the mansion (the 378 runs scored, the home runs, the emergence of Xander, Mookie, and JBJ as legit stars, the incredible last ride of Big Papi, etc.) is prettier than any other house on the block, the termite-infested foundation (the pathetic starting rotation, the mediocrity of the bullpen, the terrible bench, the overall lack of organizational depth) is threatening to take the whole thing down. The good news is that these problems can and probably will be addressed. We look poised to be firmly in the playoff race until the very end. But I just feel like with the kind of offensive talent this team has, and with the third-best run differential in the MLB, we should be better than 37-28 right now. I actually think this team has underachieved, which is weird coming off two last place finishes. I still think John Farrell should go, although it won’t happen until the offseason unless the Sox fall out of playoff contention. Addressing the weak bench, part I: Jimmy Rollins is set to clear waivers soon and be released by the White Sox. Would we rather have Marco Hernandez or Jimmy Rollins as the middle infielder off the bench down the stretch? I’m honestly unsure. But I do think Rollins could still contribute to a team in a pennant race. His veteran presence, having something to prove after being released, his ability to come in as a pinch runner or pinch hitter in late game situations, I think I would trust him more than Hernandez when the at bats really start to matter. Hernandez hasn’t done anything to show he should be getting high leverage at bats late in the season for a contending team. Addressing the weak bench, part II: Jose Reyes is about ready to clear waivers and also be released by the Rockies. Reyes comes with more red flags than Rollins: he is coming off a suspension and arrest for domestic violence, which would be tough for the PR-conscious Red Sox front office to swallow. But even more concerning (baseball-wise) are his eroding skills. Not too long ago, he was a premier defender, base stealer, and hitter. Could he still contribute to a team in a pennant race as a pinch runner, late inning pinch hitter, and utility middle infielder. Probably. Could the Red Sox use someone like Reyes? If he can still show elite speed, then yes. Do the Red Sox want an aging middle infield utility man with a domestic violence conviction who is owed $22 million in 2017 (but could be released after 2017)? Probably not. Addressing the weak bench part III: trade for Trevor Plouffe. The Twins (or at least their fans) want to move Miguel Sano back to 3B. His stint as an outfielder has been almost as disastrous as Hanley Ramirez’ was in 2015. But the problem is Trevor Plouffe is already manning the hot corner for the Twinkies and DH is occupied by Korean slugger Byung-ho Park. Seeing as Sano is the future of the franchise, it seems likely Plouffe will be traded. Plouffe hit .244/.307/.435 with 22 HR and 86 RBI in 2015. He has underwhelmed in 2016 after a DL stint in early April, but he’s a guy with a 2.5 and 3.9 WAR in 2015 and 2014 respectively. He would have to come off the bench for the Red Sox initially, but he might be better than Travis Shaw in the long run (or right now). Even if he is nothing more than a pinch hitter and spot starter for the Sox, it would be a big boost to their depth. He could fulfill the Mike Carp role from 2013, who was a very valuable player for the Sox. The 3B depth in the organization is atrocious, as is evidenced every time Josh Rutledge mans the hot sack. Brock Holt’s return will help with depth there, but he’s needed in LF so that Rusney Castillo can go back to Pawtucket or Cuba for the rest of his seven year $400 million contract (numbers approximate). I also think Plouffe could be had relatively cheap, as Minnesota is in a tough position of having to move him and Dombrowski will know this. The problem is, I would imagine a lot of teams will have interest. Go after Plouffe! The Red Sox' starting pitching rotation is a porta-potty fire. A quick recap: Clay Buchholz was so bad, he was banished to the bullpen for the first time in his career. Joe Kelly had one good start and otherwise has been an erratic, inefficient c***tease. Henry Owens is a slop-thrower who looks like he will either be a AAA pitcher the rest of his life or will be out of baseball soon. Eduardo Rodriguez was supposed to step in and be his 2015 self, cementing a spot in the rotation and dominating for the rest of 2016. Instead, something is clearly wrong with him and he needs to go on the DL and basically start his season over. David Price has been pretty good lately, but we gave him a 7 year, $217 million contract to be the best pitcher in the American League, not “pretty good”. Thank god for Steven Wright and Rick Porcello. Things have gotten so bad, fans are calling for John Farrell to put Clay Buchholz back in the rotation. Egads. Roenis Elias steps into the fray tonight to try to lock down a rotation spot for himself. He comes in with a cool 16.20 ERA and 3.60 WHIP on the 2016 season. Ok, that’s not fair: those numbers are in only 1.2 innings of major league work this season. In 9 starts with Pawtucket, Elias has a 3.54 ERA, 1.44 WHIP, 8.9 K/9, and 2.22 K/BB. That WHIP is too high, and he walks too many batters. The one strikeout per inning pace at AAA is not particularly impressive. He’s going to have to hit his spots and let his defensive work behind him. We’ll see. Here’s hoping he does well. Improving the Rotation Part I: The guy who I have long sought after on this website is about to get back to throwing again. Tyson Ross will throw a bullpen session on Sunday, and if all goes well should be back pitching with the Padres by early July. I want to see him come back and have success against major league hitters and not just assume he’ll be back to his old self like the Sox apparently did with Ed Rod, but as long as he shows he is back to being Tyson Ross, I say the Red Sox should pounce like a fat kid going after the last donut in the box. Ross checks all the boxes of a pitcher the Sox would like to trade for: youth, velocity, team control, all at a fair price. Go after Ross! In July! It seems clear that Joe Kelly will not be in the Red Sox rotation any longer after he comes back from his most recent DL stint. John Farrell admitted this week that he would be open to moving Joe Kelly to the bullpen. To which I say: FINALLY!!!!!!!!!!!!!!!!!!!!!!!!!!!!!!!!!!!!!!!!!!!!!!!!!!!!!!!!!!! WHAT TOOK YOU SO LONG JOHN!!!!!!!!!!! I’ve been screaming about moving Kelly to the bullpen since mid 2015. Koji Uehara and Junichi Tazawa seem capable of continuing solid 2016 seasons, but the real fate of the Sox bullpen might come down to Joe’s ability to transition to the pen and Matt Barnes. It’s always been clear by the second inning, and usually by the first, of every Joe Kelly start whether he has it that night or not. If he doesn’t, the Sox lose. If he doesn’t have it coming out of the pen, just yank him. Why has it taken this long for the Sox to pull this trigger? But what other contract would even be in contention for worst in Red Sox history? To make it worse, the Cuban player the Sox wanted that offseason was Jose Abreu and they nearly got him. When they didn’t, they signed Castillo as a consolation prize. Like the guy at the bar who strikes out with the dime piece hostess and takes home the ugly girl at the end of the bar. Only if the girl at the end of the bar had herpes. And syphilis. Ryan Hannable checks in from Lowell Spinners media day with this tweet. Hopefully, Kopech walks the walk of his talk and gets his life turned around. And then hopefully he develops into a top notch fireballing starter. Did you guys see this piece with Hanley Ramirez and David Ortiz in The Players Tribune? It damned near brought tears to my eyes. We forget that it’s not just showing up to a ballpark and playing ball for these guys, especially the foreign players from Latin America who don’t speak English. 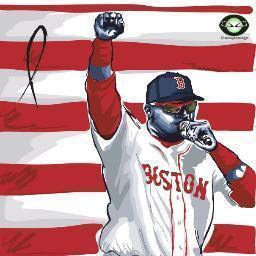 Man, we’re going to miss Big Papi. We’ll always love Big Papi. Finally, I would like to say: I HATE ALL-STAR VOTING. I hate all the campaigns that all teams are forced to wage on social media, on TV, and at the games just to have a chance to see their players on the team. I hate the endless pandering and the ballot-stuffing. I hate the updates on who is leading the voting at each position, as if it matters for something. I hate the fact that the best players don’t end up starting the All-Star game, especially since the game determines home field advantage in the World Series. I just hate the entire process. Almost as much as replay in baseball (okay, not that much. I’m worked up). I think the pitchers should vote on the hitters for their league and the hitters should vote on the pitchers. Who knows who is really good better than their opponents? Just some quick hits on some of Brandon's points. 1. I, too, have thought that Jimmy Rollins could be an useful bench player in Boston, IF he can play second and/or third. Hopefully nearly inning at shortstop this year will be played by Xander. Reyes, no thanks. 2. The Sox rotation has not been sports potty fire, the 4th /5th spots have been the problem. Price has been better than pretty good ( last 8 starts ERA of 2.47), Wright is in contention to start ASG & Porcello has been fine. 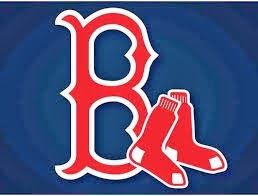 Rodriguez & Buchholz need to step, if not Dave D will find someone from outside, won't be Elias apparently. 3. I still like Joe Kelly as a starter but his big fastball may be neded more to help Koji & Taz set up Craig Kimbrel. And when assessing this team's chances do not forget how important having Kimbrel is. 4. Rather than Plouffe I would like to see a lefty vet bat to platoon with Chris Young, maybe Josh Reddick ( when he is off DL), John Jay,jay Bruce or maybe Nick Markakis. Brock Holt can go back to super sub when ready. I share you view! all these questions were in my head during all the game long! custom paper writing will explain you all the nuances you can cope with!